Andy started working in the outdoor sector ten years ago, beginning in recreation and moving into the field of education and therapeutic. 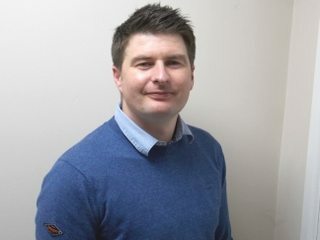 He now works for GRA based at our Outdoor Leadership Centre, St George’s Park, where he designs and facilitates developmental programmes for corporate and sports team. In addition to the ERCA Traditional Ropes Course Trainer Award he holds the Winter Mountain Leader Award, SPA, CWLA, and PADI Advance Diver and is a Level 3 UKCC Trainee. Andy also has a degree in Child & Adolescent Mental Health. When he’s not working in the outdoor sector he enjoys climbing, mountaineering and playing guitar. Joe has been working in the outdoor industry for almost 20 years. During this time, he has used ropes courses extensively for development training across a wide cross-section of groups. 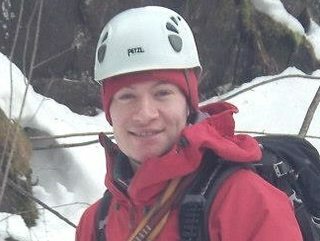 Having spent time as a Senior Instructor and Centre Manager, Joe brings this experience into his role as an ERCA High Ropes, Low Ropes and Rescue Trainer. Joe also spent time working for a Ropes Inspection body working across the UK and abroad carrying out Periodic Inspections and maintenance. Joe’s outdoor qualifications also include 4 star sea and inland kayak, GNAS Archery, and SPA Assessed. His other training qualifications include Master Trainer of Crucial Conversations, Certified Trainer in Crucial Accountability, Accredited Belbin Team Roles Facilitator, HeartMath Coach and Action Centred Leadership Trainer. When he’s not delivering training, Joe plays in two bands, enjoys skiing and generally spending time in the outdoors.